A great blue heron watched as I glided past. Dragonflies tumbled and hovered just above the water, which was throwing reflections of sunlight onto the tree trunks along the shore. And the air was filled with a characteristic sound of kayaking in the Skokie Lagoons—the roar of traffic on the Edens Expressway. But so what? The Edens does nothing to detract from this little Garden of Eden, where paddling a kayak through narrow waterways ringed with trees or across wind-swept open water is a magical way to spend part of a sunny day. And, once a year, you can paddle at the Chicago Botanic Garden. On June 18 to 19, you can canoe the lakes of the Garden in the annual Father’s Day Canoe Adventure. Held in conjunction with Friends of the Chicago River, the hour-long paddles regularly sell out. Still, there are plenty of other opportunities to get on the water. Canoe and kayak rentals are available from the Garden’s partner, the Forest Preserves of Cook County: Busse Lake in Elk Grove Village, Maple Lake and Tampier Lake in the Palos Preserves, and here at the Skokie Lagoons. 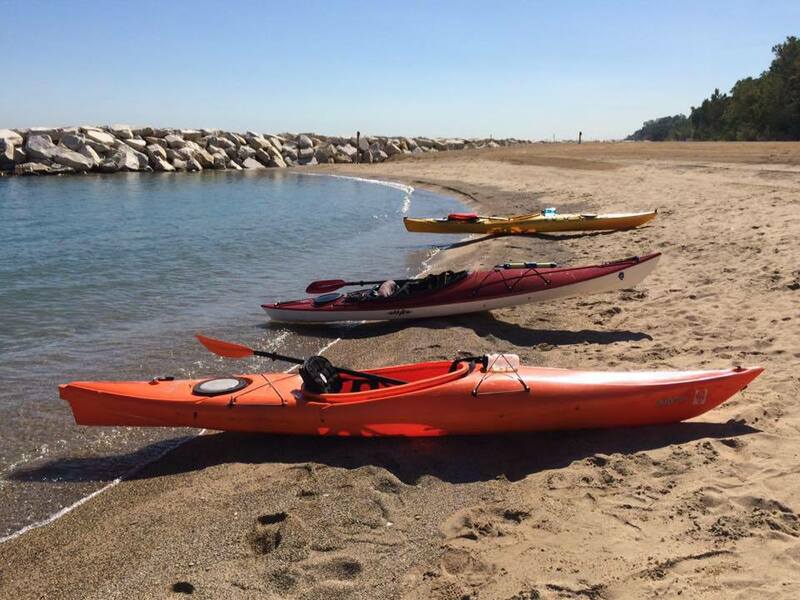 At the Skokie Lagoons site, you rent your boat from Chicago River Canoe & Kayak, which operates a trailer on Tower Road, just south of the Garden. No experience necessary; kayaking is easy, and the staffers will give you a quick lesson and offer suggestions on a route. You can paddle around the island in the middle of one of the lagoons, right across from the launch spot, which takes about 45 minutes. Or you can head under the Tower Road overpass and into the long system of lagoons to the north. “A family of badgers has been seen there,” said Angela Williams, who helps run the Chicago River Canoe & Kayak rental station, as she picked out a paddle for me. That was tempting, but the island looked plenty inviting. And John Hage, the outfitter’s manager here, said he recommends the island because the narrow waterways keep you closer to shorelines where you see birds. 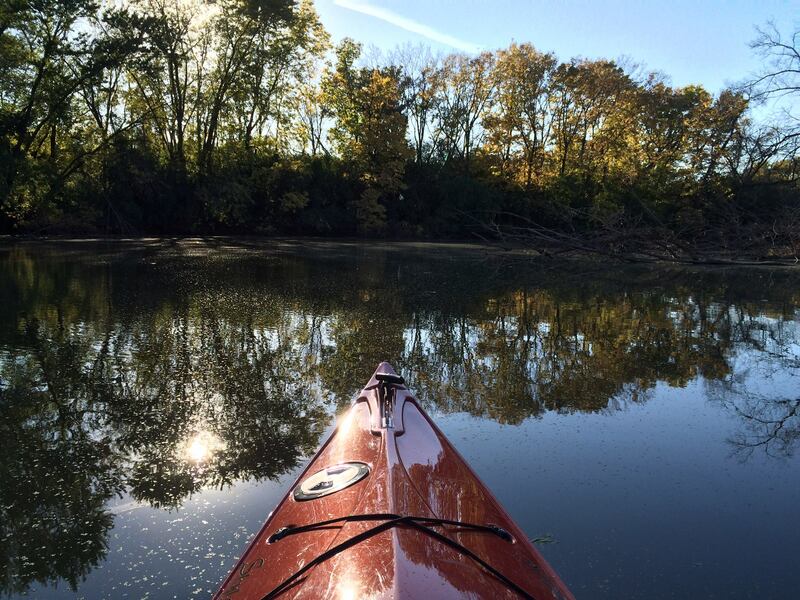 Grab your camera and a paddle to #birdthepreserves from the water this summer. Williams assigned me a kayak—there are three kinds, with different levels of speed, maneuverability, and tippiness—and I lowered myself in and put my feet on the foot rests. She handed me the paddle, pushed me into the water, and I was off. And immediately having a grand time. Gliding swiftly—you can go pretty fast with just a little effort—and skimming along only inches above the lagoon’s surface, you feel like some kind of water creature, as comfortable paddling as the Canada geese you see. In fact, you can paddle faster than the geese. I came upon a line of Canada goslings following one parent at the front of the line and followed by another at the back. I caught up and glided alongside, so we were a double line paddling quietly beneath the overhanging trees, the little goslings’ heads bobbing. Even for one who despises the park-fouling birds, I thought it was sweet. I rounded the island, the highway hum fading enough that I could hear the plops of fishing lines being cast by guys fishing from kayaks. A deer wandered through the woods on the island. A great blue heron soared overhead, its shadow crossing over my kayak. And then, after flushing one last great blue heron along the shore, I crossed the water back to the launch. Back at the trailer, Hage recommended the Maple Lake location too; Chicago River Canoe & Kayak rents the boats there and at the Busse Lake launch. And for those who would like to paddle but would like company, the outfitter is planning to organize monthly networking paddles. Bring dry shorts to change into; in a kayak, the water drips off the paddle and into your lap as you paddle. But go. The waterways are lovely to explore the preserves—and once a year, the Garden. 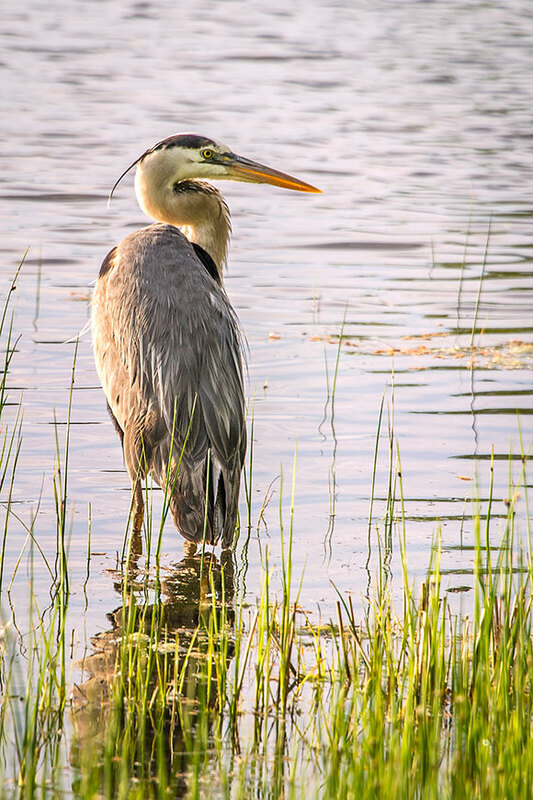 Out here, it’s just you, the herons, and your swift path through the water, and you haven’t left Cook County. Photos by Amy Spungen and Bill Bishoff.